When one finds themselves in need of a scanner, very rarely are they prepared for the vast world of scanners that exists. What begins as a seemingly simple mission to digitize your documents and/or photos can soon turn into an exercise in frustration and confusion. You can avoid this headache by learning about the different types of scanners and their uses before you start shopping for a specific model. By doing so, you will know exactly what you need to best suit your purposes, and eliminate time wasted examining models that just don’t fit the bill. Scanners come in many shapes and sizes – here are some of the most popular choices. Flatbed scanners are the scanners that most people are familiar with. 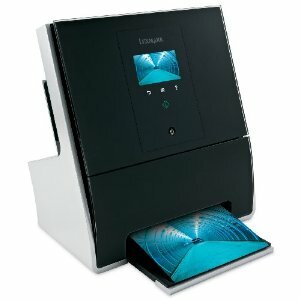 These scanners sit on your desk with a flip-up top that reveals the scanning glass when open. They come in a couple of different sizes for standard paper or up to legal sized and beyond. You may also find all-in-one models that include a scanner and a printer, minimizing the amount of desk space required. Flatbed scanners are excellent for scanning newspaper articles, books, and even DVD cases for those who wish to digitize their movie library. Some are good for scanning photos as well, provided you have purchased a high resolution scanner. However, flatbed scanners are not a speedy option as each item to be scanned must be loaded onto the flatbed and processed. For bulk document scanning their are better choices. Sheetfed scanners are ideal if you need to scan large volumes of documents. They are a bit smaller than standard flatbed scanners making them great if you are working with limited space. Most sheetfed scanners have a lower image resolution than flatbeds, but for documents this is not a major concern. The big advantage here is the ability to scan several documents at a time rather than have to manually change pages after each scan. Documents can be loaded into a feeder tray and the machine will pull in one page at a time for scanning, much like a photocopier. Sheetfed document scanners can be a bit more expensive than other types of scanners, however. If time is of concern, the extra investment could be worth the saved hassle. Photo scanners are exactly what they sound like and are best suited for you if you need to digitize a large volume of photographs and negatives. They can be considerably more expensive that all purpose scanners, but the difference in quality and resolution is well worth the extra cash depending on your intentions with the final images. Photo scanners usually come with their own specialized photo editing software and also adapters that allow you to work with negatives and slides. While some all purpose scanners will do a fine job handling photos occasionally, many won’t be able to produce the same quality resolution and depth of color that photo scanners made specifically for that purpose will. Portable scanners are tiny little handheld devices or small tabletop devices that allow you to scan anything, anywhere, any time. Some are no bigger than an ink pen, while higher quality portable scanners will be a bit larger. Most portable scanners will not give as high of a resolution as a flatbed scanner, but they do have their place, especially if you do a lot of research at the library or scan small document. There is a learning curve involved with getting a good quality scan when using the handheld type, but these mobile scanners are great for gathering large amounts of information in a digital format for review later. For high quality scans of 35mm film, negatives or slides you will probably be happiest with a higher end photo scanner. But there are small slide scanners available specifically for bulk scanning of film products. The image quality won’t be as good but what you lose in quality you will gain in speed as these devices can move quite quickly through a stack of slides. Many people now opt for a multifunctional printer (or all-in-one vs a scanner) which is basically a printer, scanner & copier all in one. These units are nice if your scanning needs are occasional or do not require high resolution (like slides or film). These units usually also come with faxing capabilities. A multifunctional scanner/printer is a great option for most home offices, especially if space is tight. The software will allow you to scan either photos or documents and many are wireless, allowing multiple computers and other devices to send or receive. Along with printing and copying, these all-in-one units can come in very handy. There are a few models of specialty scanners available for tasks like receipt scanning and business card scanning. While these functions can usually be performed on a flatbed, document or even portable scanner, a dedicated receipt or card scanner comes with software to make processing and organizing of the scans easier. Before purchasing a scanner, make sure to consider what exactly you will be using the scanner to do. Some scanners are more multifunctional than others (like scanning photos and documents) while others are not (like a film scanner). Make sure you purchase a scanner that can do all that you need it to do or that will do the one thing you need done very well.